The Mission of The Student Millionaire is to get every and all Young Adults and Students everywhere to put a Million-dollar goal on their personal radar screen not so much for the money as for the freedom it gives them to live their lives passionately doing what they love to do and not only bless their own lives in the process but bless the lives of others and help make this world a better place. 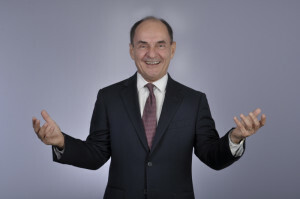 As you have undoubtedly gathered from the name of this website, the name of the book, and the dedication to Young Adults on the home page, we’re about coaching Young Adults on how to find YOUR path to your FIRST million dollars. Becoming a Millionaire is not rocket science. The paths may be different, but the principles are the same for everyone. The recipe has been around for a while. It’s just not taught in our schools. However, reaching your Million-dollar goal does require focus. In this day and age of instant everything, focus seems to be the hard part. The mantra of the day seems to be “I want is now!” Everything that takes any time, focus, attention and some effort seems just too hard. Enter the serious student who really wants to be a Millionaire. They are willing to follow the process and give it the time it takes to get there. The answer to that question is two to five years from the time you make the firm decision to be a Millionaire to actually become one. It could be sooner or it could take longer. That all depends just how focused you are on your million-dollar goal. 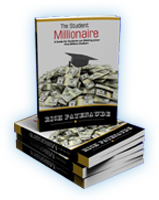 So, if you are a Young Adult reviewing the information on this site, buying the book and opting in to join The Student Millionaire Community, Congratulations! You have taken the critical first steps to set yourself on the path to wealth that will give you the freedom to make your own choices in life. Enjoy the journey! It’ll be a fun one, I promise.